We don’t have have a shed (yet), or a basement, cellar or even a room that’s cool enough in our house to store bulk potatoes. 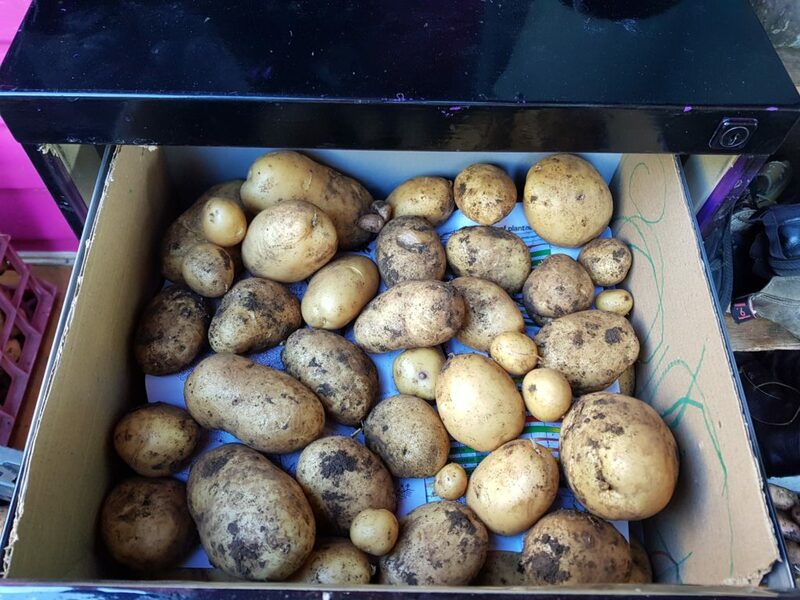 In the past we’ve lined our loungeroom floor with boxes of potatoes with blankets on top, however inevitabley they get too hot and end up sprouting too quicky and/or go soft before they should. Potatoes like to be stored in a cool, dark place whereas we only have warm, light spaces available in our house. 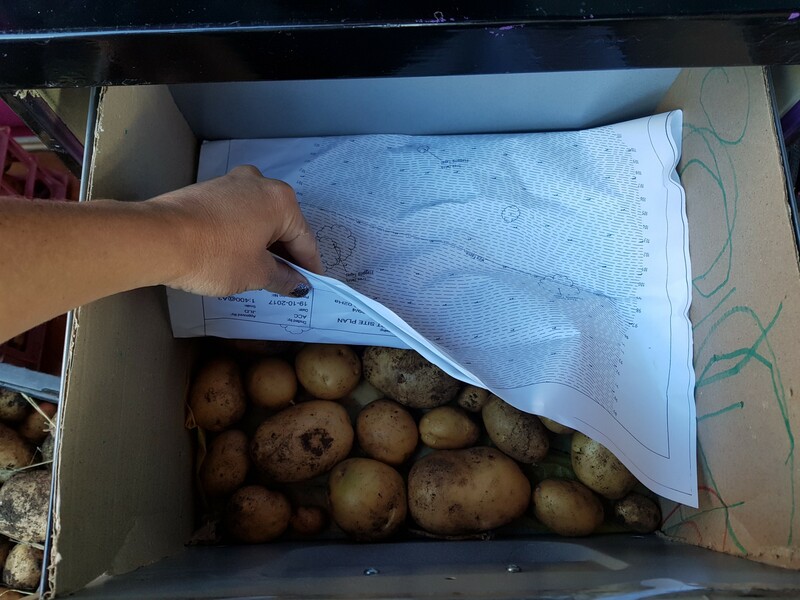 This year we grew around 60kgs of potatoes and would like them to last longer than previous years. 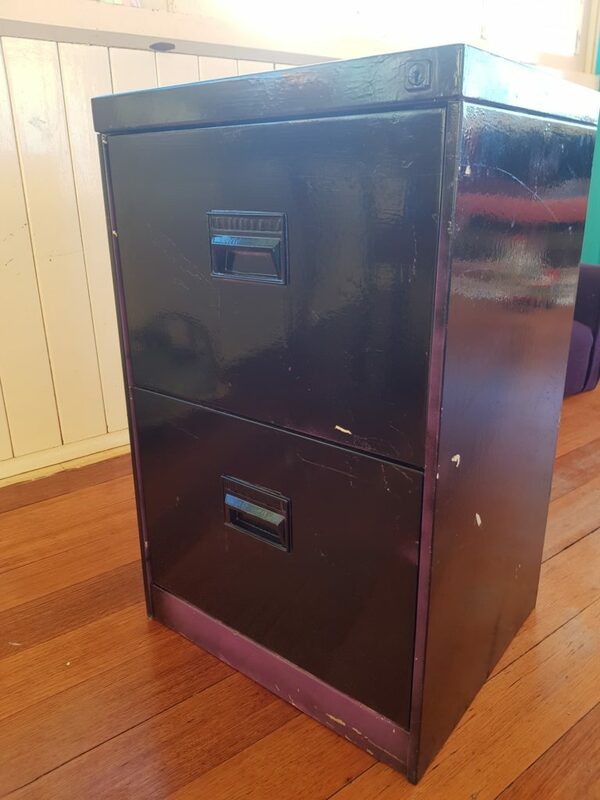 So after asking our very kind social media community for ideas, we’ve settled on the no-frills recycled filing cabinet! 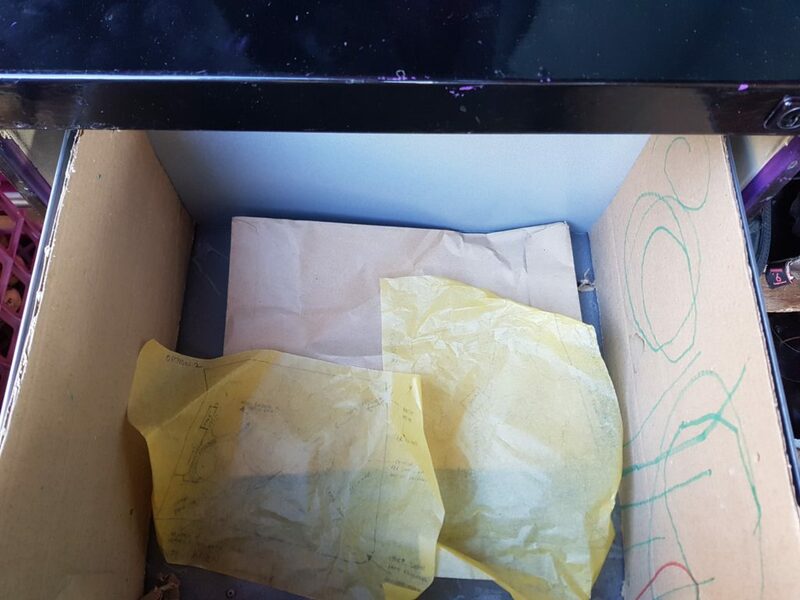 Our requirements were that it had to be rodent proof, weather proof and compact – the humble filing cabinet does all these things. 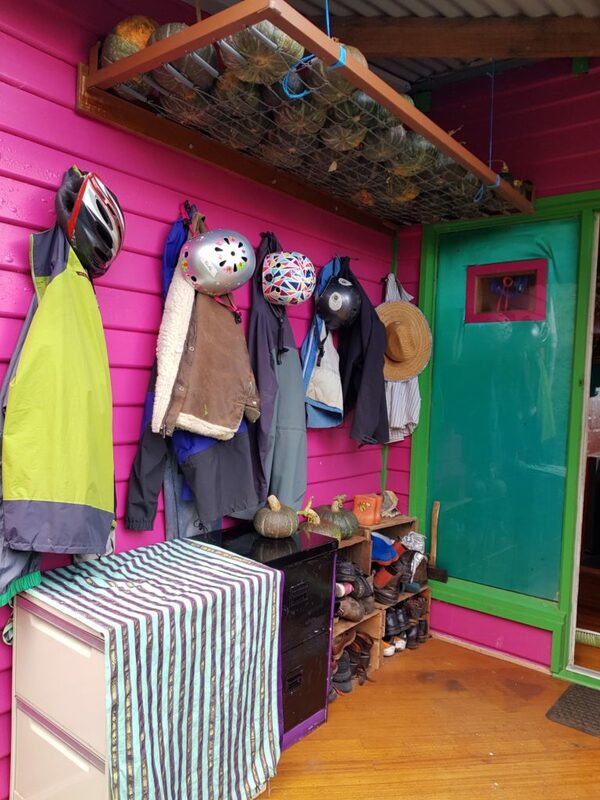 After a trip to our local tip shop, we collected two filing cabinets and set them up near our back door which has juuuust enough space and eave coverage to make it ok for them to last there for a season or two. 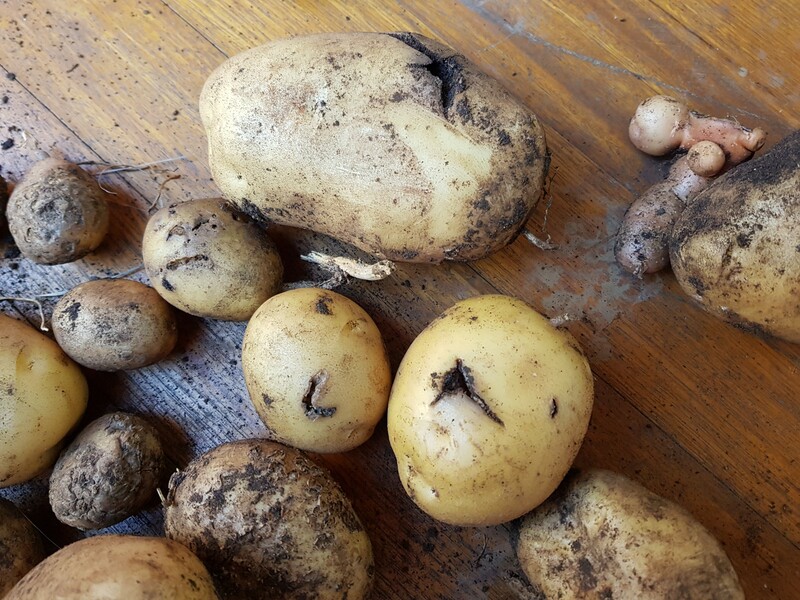 Before storing the potatoes, I made sure they had at least a few days in the open air drying – you really don’t want to be putting in damp spunds into a small space – bad things will happen. I just had them in stacks of old milk crates with a blanket over them for a few days. 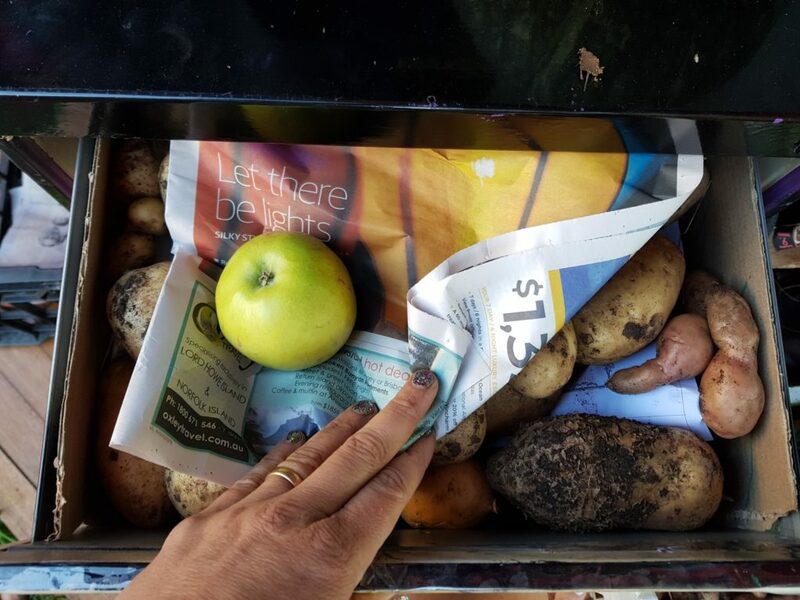 Back to the filing cabinet… Before loading them up with potaotes, I added some cardboard sides to prevent the spuds from falling out the sides and added a layer of paper on the bottom. I also sorted through all the potatoes and removed all the ones with “wounds” from my garden fork – we’ll just eat these ones first. I then started layering in the spuds…. After each layer, I added a sheet of paper to help absorb any moisture – just in case. Finally, I added one apple per drawer on the top layer. Thanks to members of our social media community, I now know that apples emit ethylene gas which apparently prevents spuds from sprouting. Slightly counter-intuitive as ethylene gas is known to aid ripening some fruits. But after some research across the internet, I’m convinced to give it a go. The last stage was to place find them a home near our boots, raincoats, bike helmets and pumpkins. This is the coolest microclimate we have for them. It faces south, gets no direct sun at all and is mostly weather proof (sometimes we get sideways rain). 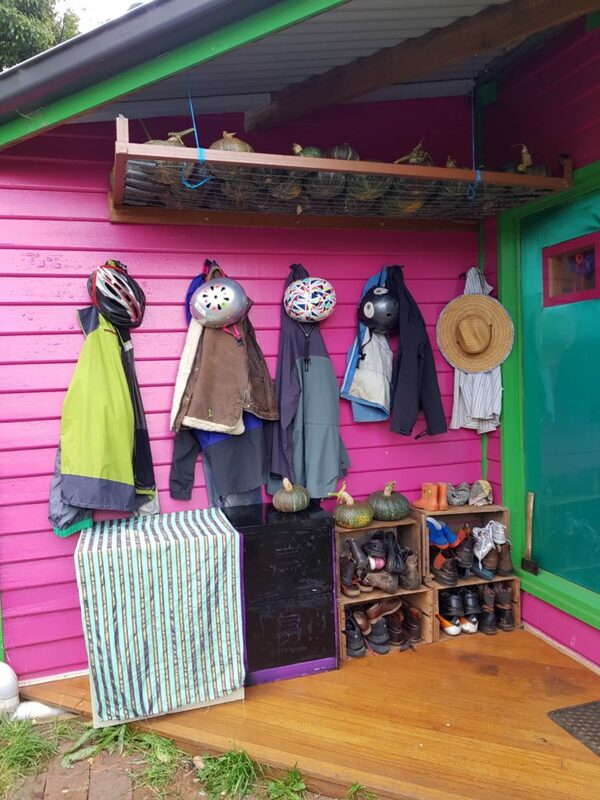 All up, we’re feeling pretty good about the whole thing and will use this system for the next season or two while we build our multifunctional shed with great food storage, including a large cool cupboard. Special thanks to our friendly social media community for helping us out when I was scratching my head about what to do! Pleasure – we’re pretty pleased with it so far :-). Nice pumpkin storage. Is that possum proof or is this your first year? Our whole property is possum proof as we fenced it. This storage is all about keeping them cool, dry and out of the way :-). What an excellent idea. I love a bit of functional upcycling. Interesting fact about the apple too. Looks like that corner of your house is becoming quite the food storage area.